Rindra, the Duskblade is one of the most feared assassins in Myria…and that’s just during the day. 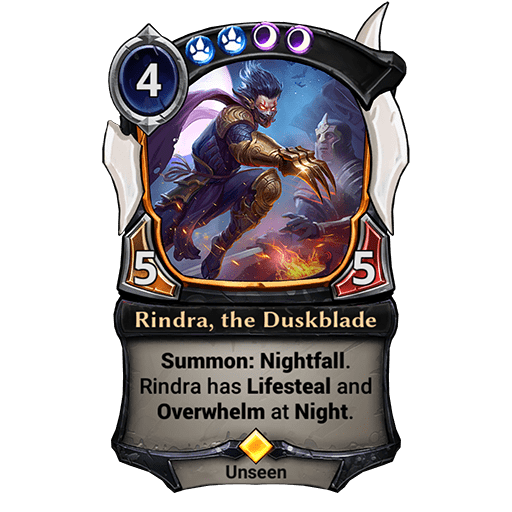 When Night falls, Rindra becomes absolutely unhinged. 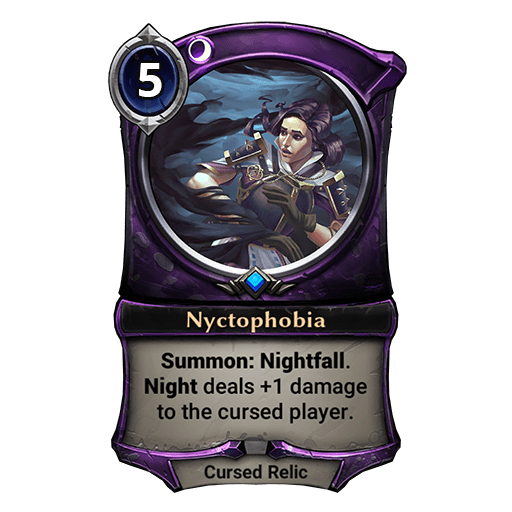 Nightfall: The first Nightfall card played in a turn makes it Night and extends it by a turn for each player. 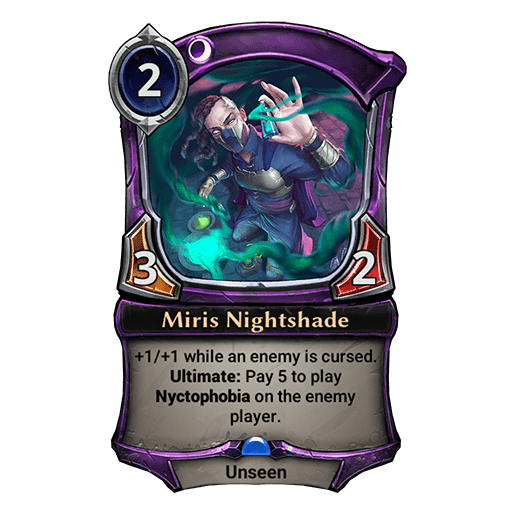 Night: When you start a turn at Night, draw an additional card and take 1 damage. The extra cards can smooth out draws and provide added fuel to increase the options at your disposal; but be warned… The Night is extremely dangerous. Damage from Night can’t be responded to, nor can it be stopped by Aegis! 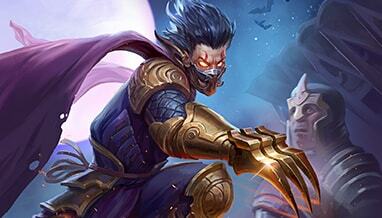 Speaking of Aegis, the Night is great for stealth and those skilled enough to move undetected. 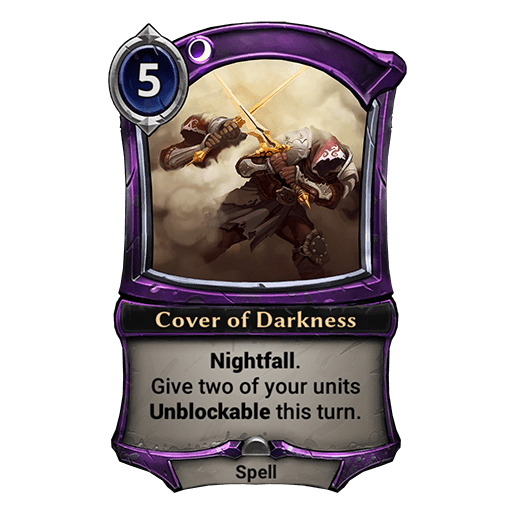 Darkveil Agent is an efficient way to usher in the Night, and the cover of darkness is all he needs to keep your Unseen safe. 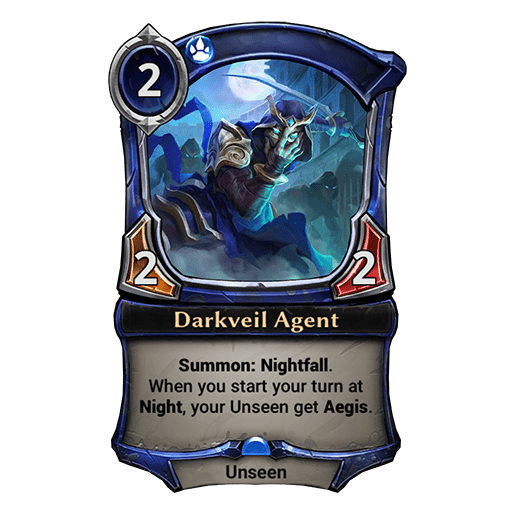 Even if they try to find removal spells for the Agent, they’d better do it in the safety of daylight – because as long as it’s Night, Darkveil Agent will keep granting Aegis turn after turn, even to units that have already gained Aegis from him before! 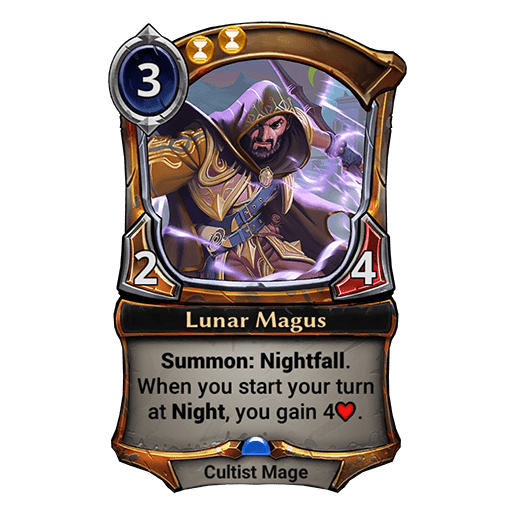 Cover of Darkness makes Night fall, just a like a card with “Summon: Nightfall”. It just happens to also make two of your units unblockable, which sometimes is just enough… or will be. Well, unless you put more Nyctophobias on them, since they do stack! As dangerous as Night can be, not it’s not all doom and gloom.